Whether you’re removing a wall or just hanging bookshelves, you’ve got to know where the studs are before you start. 1. Sound it out: You should hear a solid “thunk” when you hit a stud. 2. Look for nails along the baseboard. They’re usually driven at stud intervals. 3. 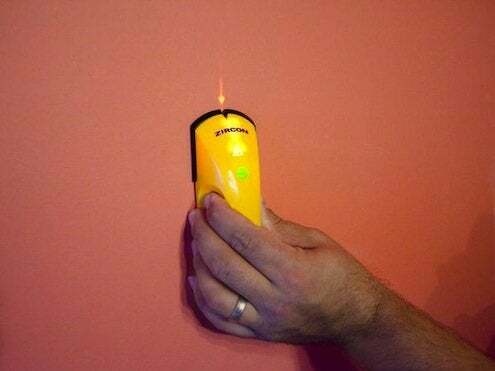 Use a magnetic “stud finder”. Run the device over the wall to zero-in on the nails or screws that fix the wallboard to the frame. Before you hang that priceless oil painting on your wall, be sure it’s going to stay there by using the right hardware. For smaller pictures, you can use specially designed picture hooks in various sizes nailed into the wall at an angle. For really heavy pieces, you need a molly bolt: they expand inside the wall for security. You can avoid nailing into your wall altogether by hanging pictures from molding hooks with longer wires.